As Willie plied the revellers with more alcohol, she muttered something about feeling unwell and slipped upstairs to her room at the top of the tower. There, aided by her maid, she quickly changed into the clothes of a servant. She was ready. Her fate now rested with Willie. 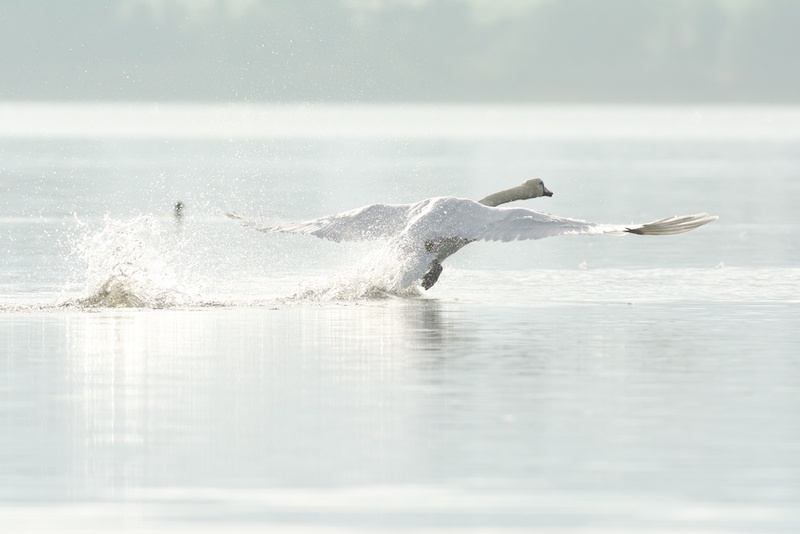 Anyone planning a flight from Loch Leven Castle was faced with some daunting obstacles. First, it was built on a tiny island in the loch, so that someone rowing to shore was bound to be spotted a mile off. Secondly, the castle was well guarded. Mary was a valuable hostage, and William Douglas, her gaoler (and a close relative of young Willie), made sure she was watched at all times. Her first bid for freedom had been foiled just a few months earlier, when, half-way across the loch, the boatman noticed that one of the ‘serving girls’ had exquisitely beautiful hands. Nor was there anywhere to hide. 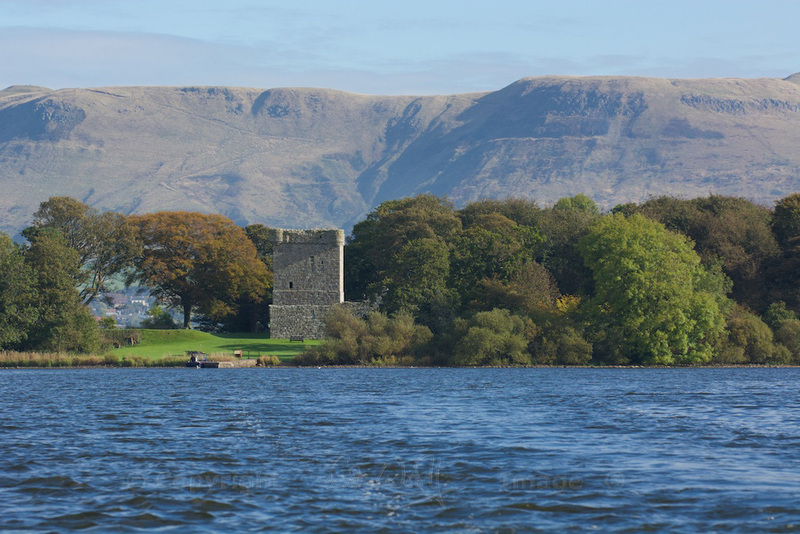 The island extended to just a few acres, and the castle occupied most of the land. It contained quite a large household of staff, so disguise and deceit were essential. And finally, assuming that you could make it safely across the water, someone had to provide horses for your onward journey. Willie had seen Mary leave the Hall, and he knew what he had to do. Leaving the guests to their revelries, he passed unnoticed through a gate in the curtain wall and went down to where the boats were kept. Working swiftly but silently, he pegged all but one securely to the shore. Next, he needed the keys to the castle. Returning to the Hall, he could see them lying on the dining table, close to William Douglas. By now a little worse for wear, Mary’s guardian was singing and laughing with the rest of them. Boldly advancing on Douglas, Willie chanted an outrageous poem and ordered a game of blind man’s bluff. In the ensuing mayhem, he deftly dropped a cloth over the keys. A few seconds later he was locking the gate from the outside, while Mary and her maid waited breathlessly in the boat. What is it about Mary, Queen of Scots? Her life story, with its many tragedies, is well documented, but so many questions remain unanswered. She was above average height – nearly six feet – haughty, proud, and well aware of what was due to her. She may not have been beautiful in the classical sense, but she could undoubtedly cast a spell on men. Willie Douglas, little more than a youth, had certainly succumbed, and so had many wiser and older men before him. 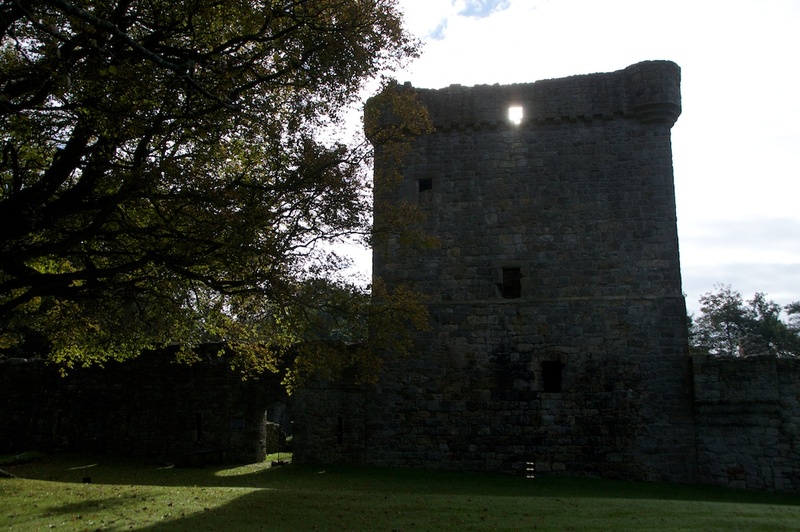 And why was she imprisoned in Loch Leven Castle? 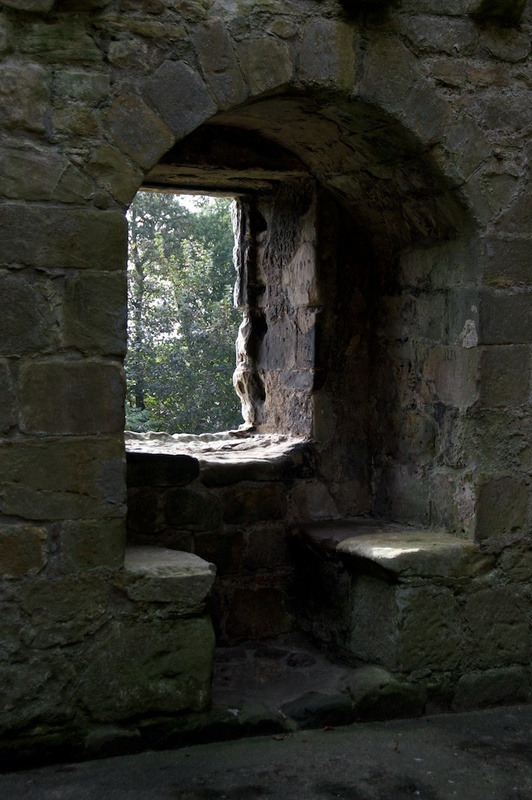 Scotland in the 16th century was the scene of bitter conflict between Catholics and Protestants. 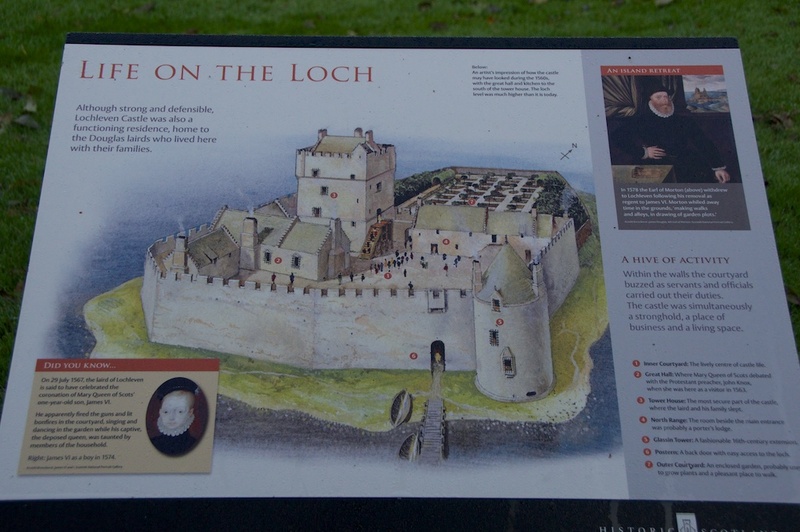 Mary, a Catholic, had been captured and sent to Loch Leven by her half-brother, the Protestant Lord Moray, after her defeat at Carberry Hill in June 1567. Soon afterwards her son, James, was declared king – but James was still an infant, so Moray planned to appoint himself Regent of Scotland. What a glittering prospect! All he had to do was persuade Mary to abdicate the throne. 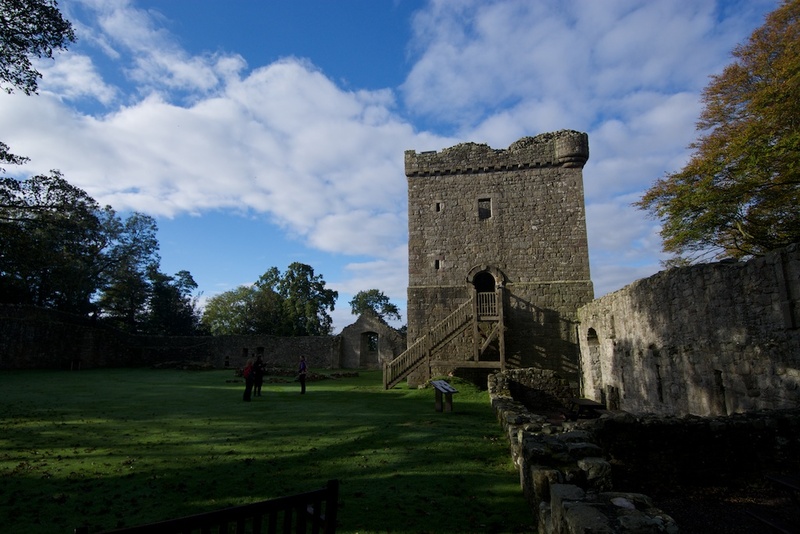 Loch Leven Castle was owned by William Douglas, a relative of Moray, who lived there with his family. Douglas‘ mother, Margaret, lived with them, and it’s likely that she was nursing a long-standing grudge against Mary. In her time, Margaret had been a mistress of James V, Mary’s father, and she had borne him a son, also (confusingly) called James*. Why wasn’t he on the throne instead? Regardless of his illegitimacy, she must have wished that Mary was at the bottom of the loch. To add to the intrigue, Mary herself was pregnant when she was taken to Loch Leven; the father was almost undoubtedly the Earl of Bothwell, her controversial third husband. But she had scarcely been in the castle a month before she suffered a miscarriage. She was being held in the smaller tower, known as the Glassin Tower, at the time. According to the memoirs of Claude Nau, her French secretary, Mary had been roughly treated during her imprisonment and she miscarried twins on 24th July. 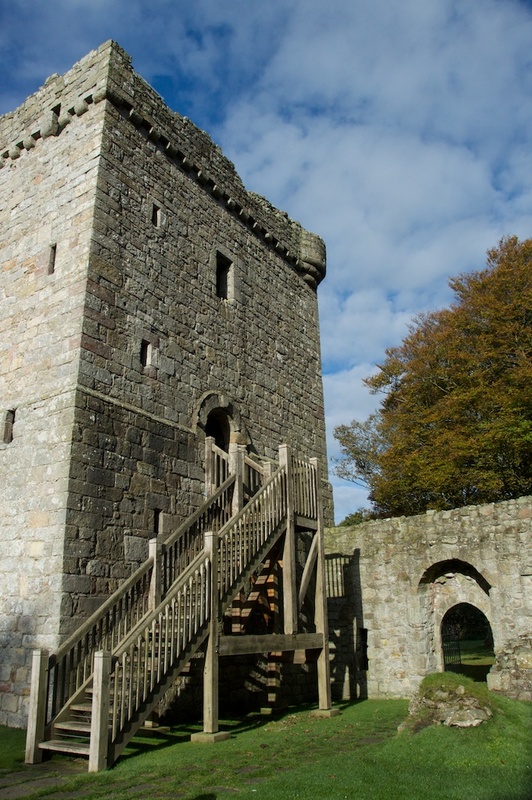 While she was still in a state of illness and grief, she was forced by Lords Lyndsay and Ruthven, who were acting on Moray’s instructions, to sign papers of abdication. What we don’t know, and what will intrigue historians probably for centuries to come, is how far Mary’s pregnancy was advanced – because this would tell us when the babies were conceived. 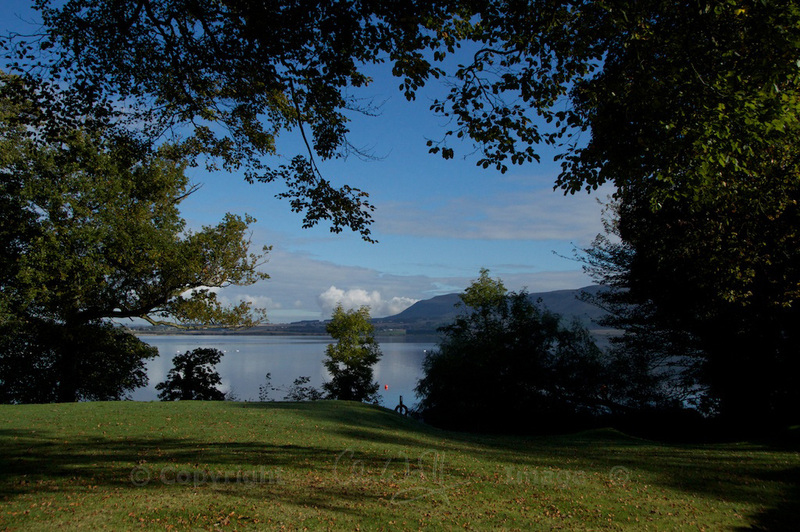 She had revealed to the English ambassador, Sir Nicholas Throckmorton, who had visited her at Loch Leven in the middle of July, that she was “seven weeks gone with child”, and she had angrily dismissed his suggestion that she should abandon her marriage to Bothwell. But she miscarried only a week or so later, and at that early stage scientists argue that it would have been difficult to distinguish two foetuses. Had she been taken against her will by Bothwell back in April, and then forced to marry him, as some historians believe? The truth, if we could discover it, could shed light on some very dark places in his character. According to tradition, the two babies were buried somewhere on the island. Their graves have never been found. 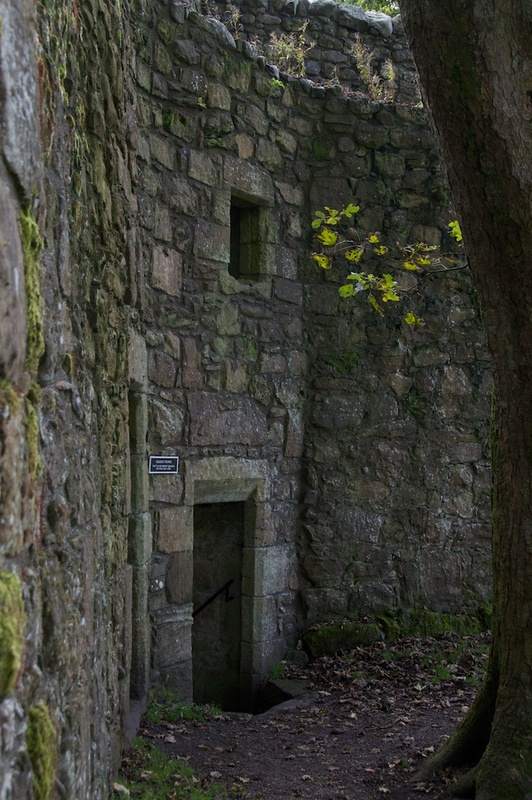 I stood inside the cold, damp confines of the Glassin Tower, where Mary is said to have given birth, and unexpectedly felt a sudden surge of tears. On coming back outside, bending my head under the dark passage, I noticed again the two massive sycamores that overshadow the tower. 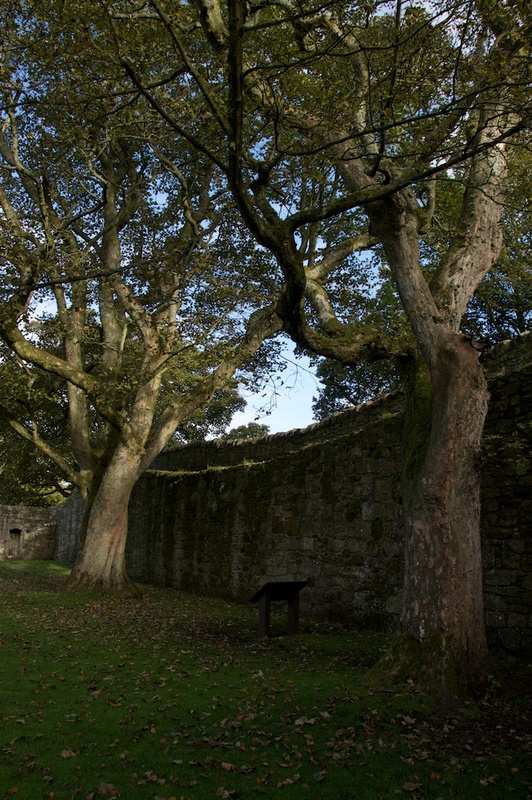 These are the only trees that stand within the castle courtyard, and they look to be of the same age. Sycamores can live for up to 400 years – although, logically, it seems unlikely that they are that old. For me, though, they seemed quite symbolic. 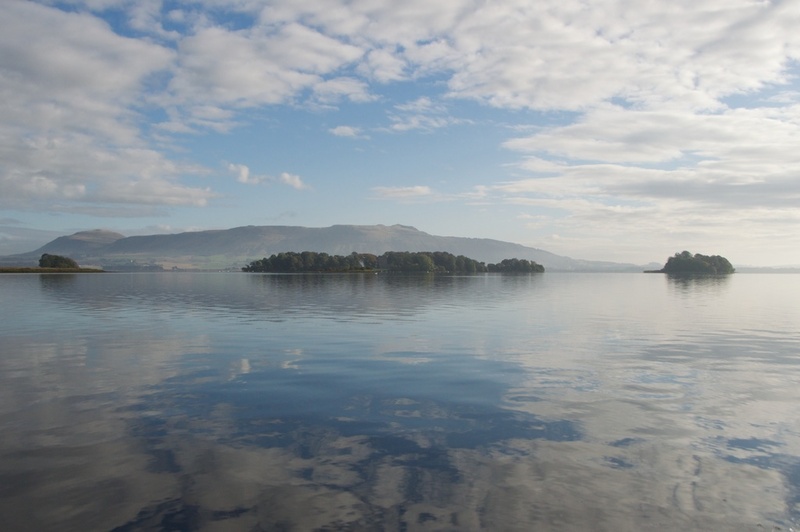 If the island that Loch Leven Castle stands on seems small to us now, in Mary’s time it was even smaller. 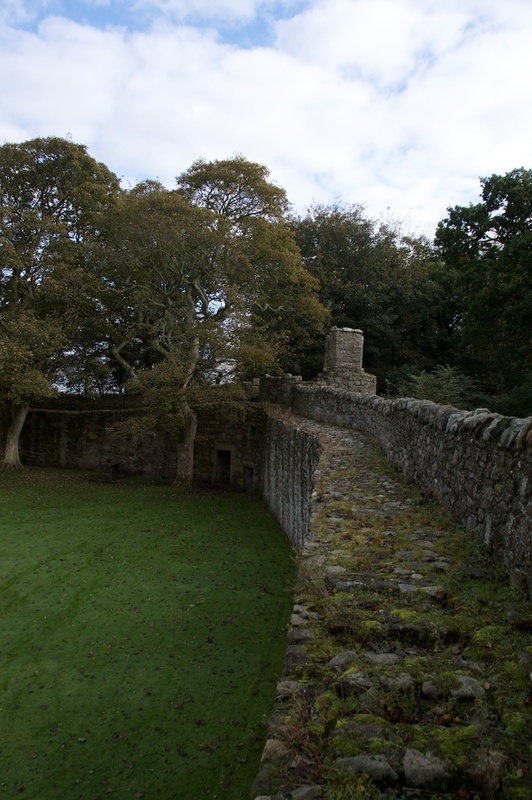 The water level of the loch was several feet higher in the 16th century, so there would only have been a small patch of ground outside the castle walls. 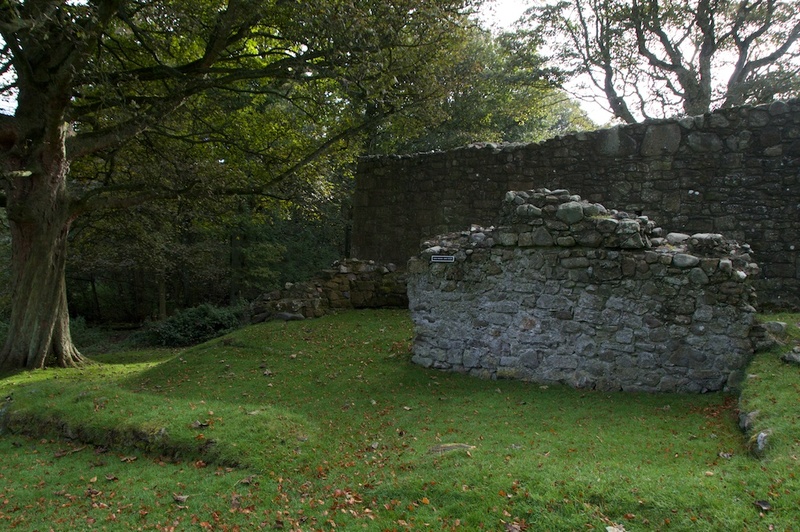 Today, there is a small woodland beneath the Glassin Tower which leads down to the shore, and more trees fringe the grassy area to the north. 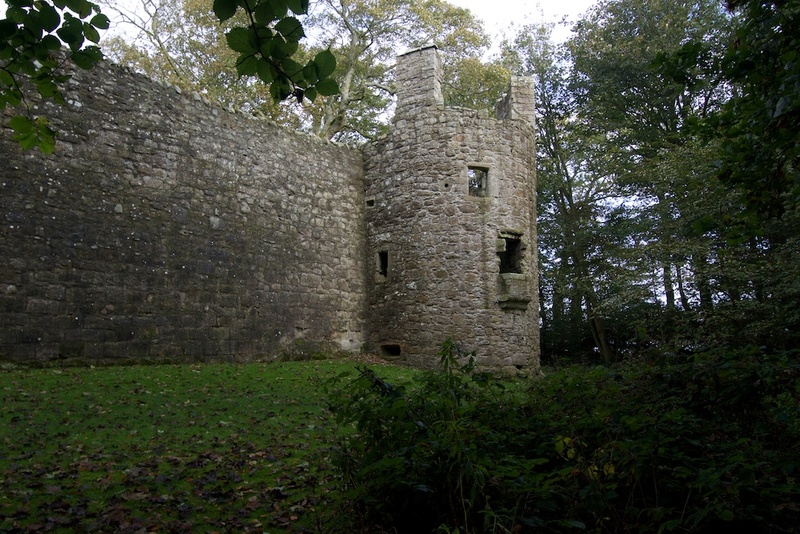 After Mary had spent a few weeks in the Glassin Tower, she was moved for greater security to the larger tower house, which probably dates from the early 1300s. 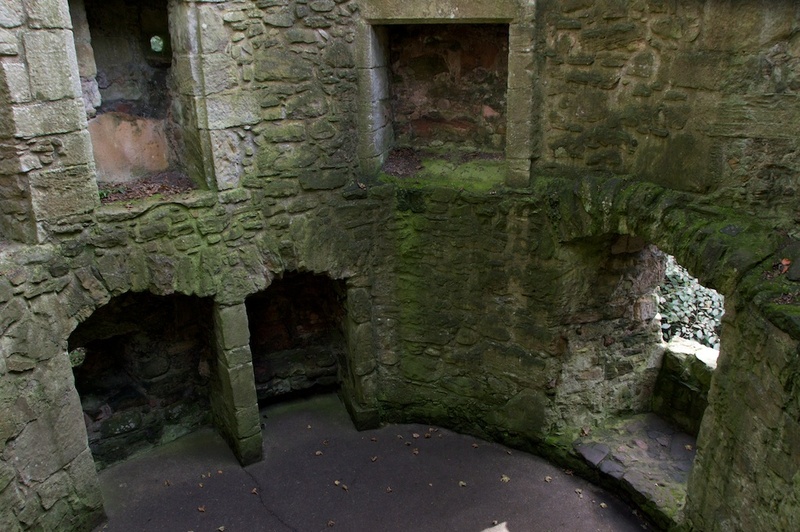 Her chambers and a small oratory were on the top floor, and below them was a hall, accessed by an external stair. 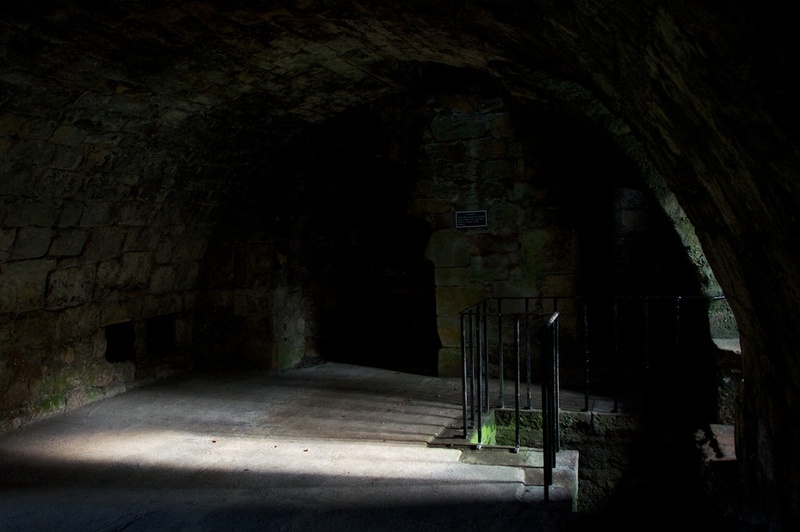 Beneath the hall were the kitchens, and at the bottom, below ground level, were the cellars. As we stood and gazed up at the window of Mary’s little prayer room, a robin flew out of the trees and sat on the windowsill for a few seconds in the sunshine. 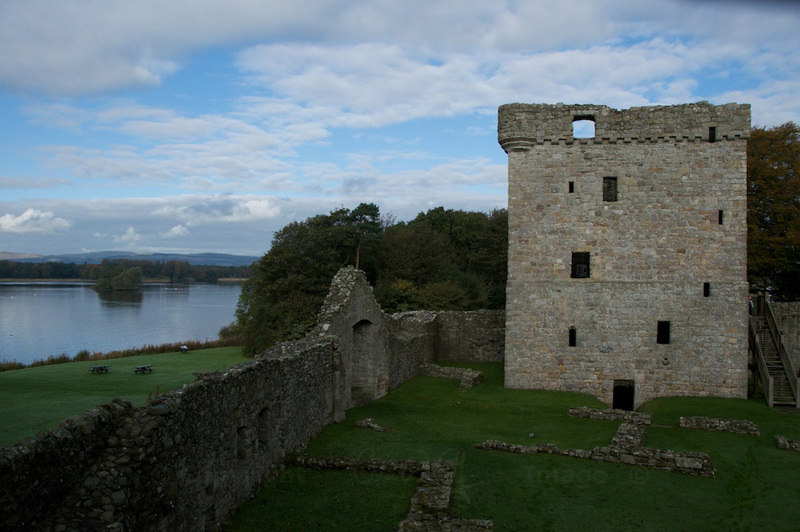 Even in Mary’s day, Loch Leven Castle had a history of suffering and violence. 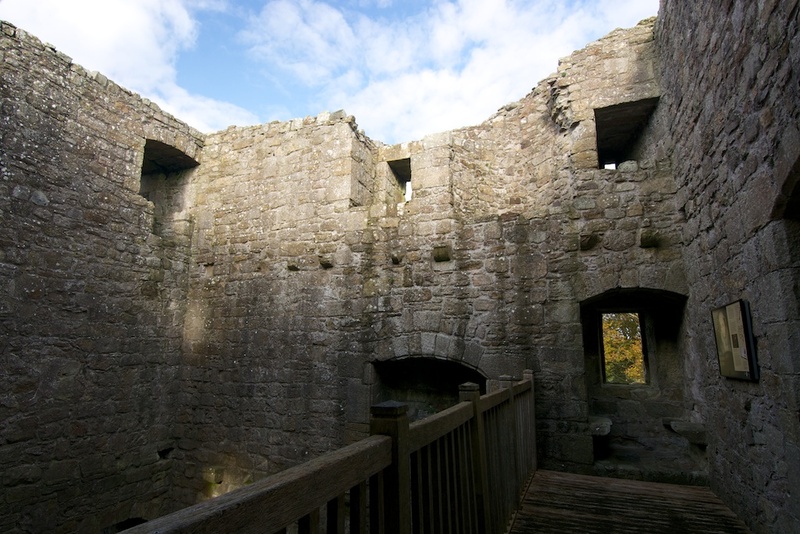 In the early 1300s it was occupied by English soldiers under Edward I, but William Wallace stormed the place at night, killing everyone inside, including the women. 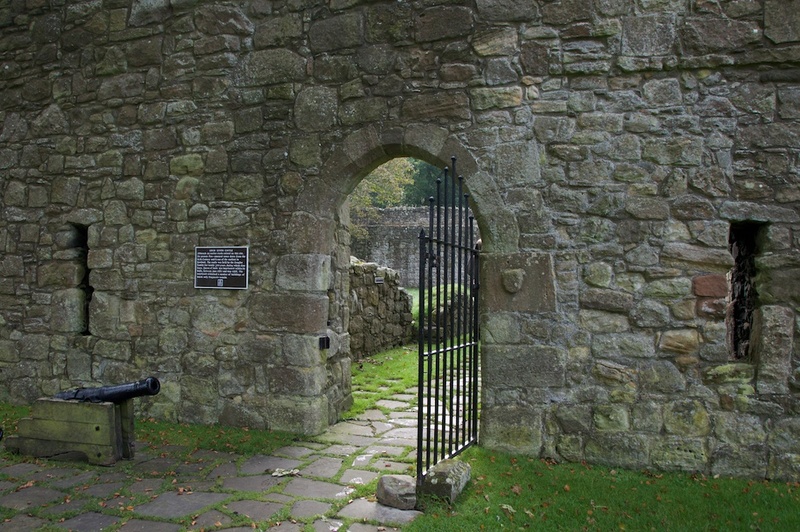 Robert the Bruce came here in 1313 and 1323, and his troops defended it against an English attack in 1334; Robert II, the ‘High Stewart’, was held prisoner here in 1369, two years before he was crowned King of Scotland – the first of the Stewart line. And what became of Mary? Having won her freedom, she declared that her abdication had been signed under threat, and was therefore invalid. She gathered a force of about 6,000 men, and, led by the Earl of Argyll, they headed via a roundabout route for Dumbarton Castle. In that ancient stronghold, she might be safe from further attack. But she never even got there. At Langside, south of the River Clyde, her forces clashed with Moray’s much more efficient and organised army; and within 45 minutes they were put to rout. 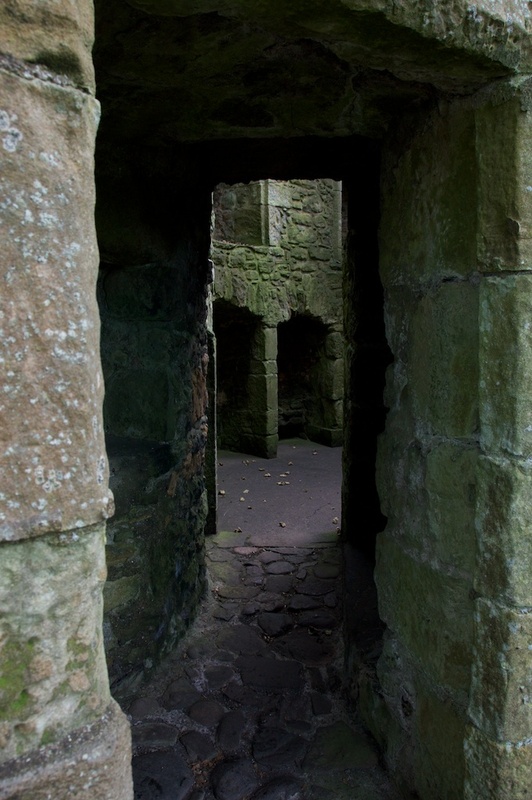 Mary abandoned her plans and fled south, stopping only at Dundrennan Abbey before crossing the Solway Firth into England. It was a rash and desperate gamble – and it eventually cost Mary her life. 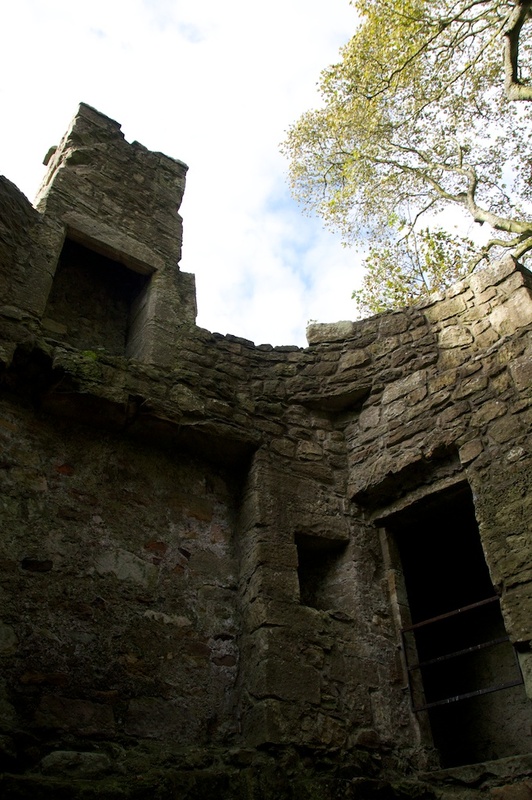 Is Loch Leven Castle haunted? 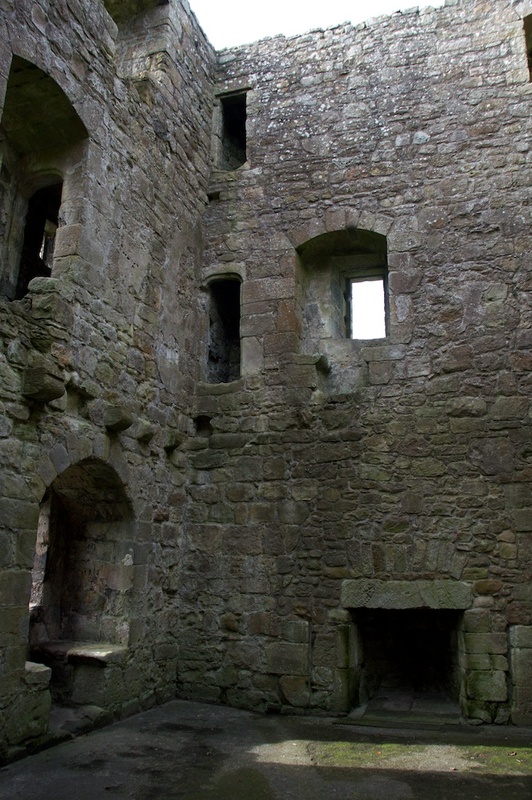 I can’t find any evidence that it is, although it is a prime candidate, since almost every place that housed Mary Queen of Scots at one time or another seems to have a strong claim to her ghost; and, judging by its earlier history, a large number of poor souls must have perished here. 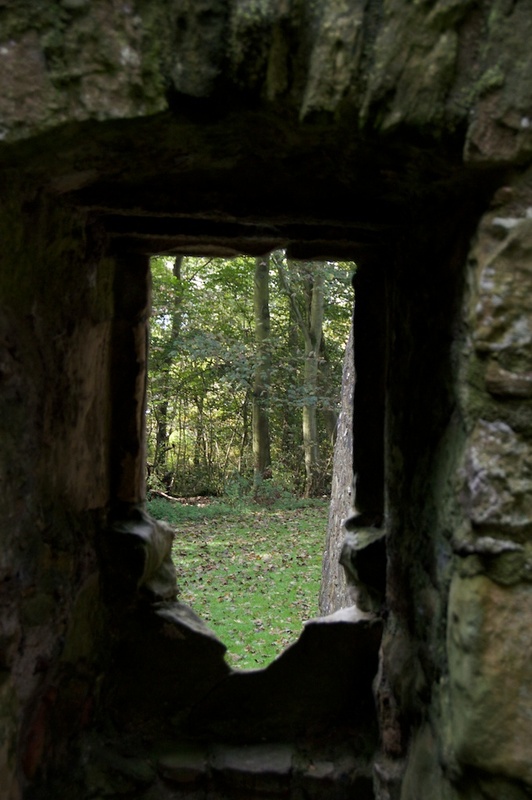 But interestingly, there have been several ghost sightings around the site of the Battle of Langside, south of Glasgow. Some of the Catholic troops who died in the battle were buried in an area now known as Queen’s Park; and in 1831 the lodge keeper’s wife reported seeing the phantoms of dead soldiers rise up from the marshes there. Historic Scotland operates a passenger ferry service from Kinross. 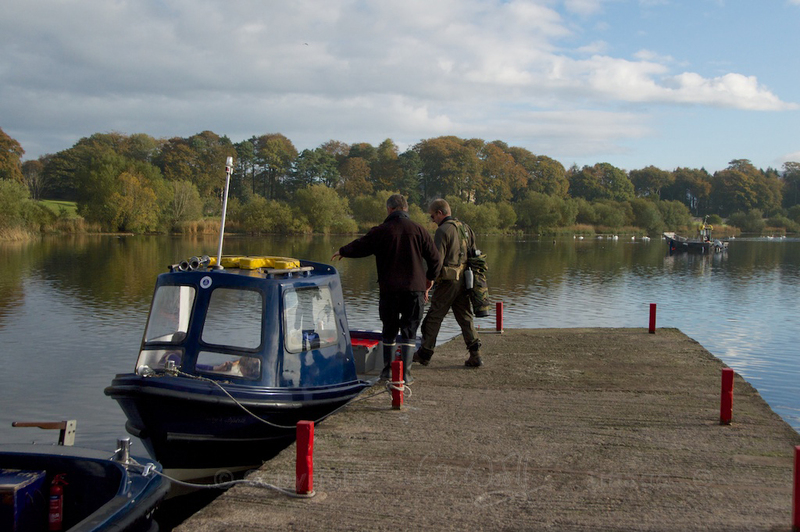 Boats operate on a daily basis, between 1st April and 31st October. The crossing takes about 15 minutes. Our guide, who was also the boatman, was really helpful and knowledgeable! Be warned that rough weather sometimes forces the boat service to stop running. 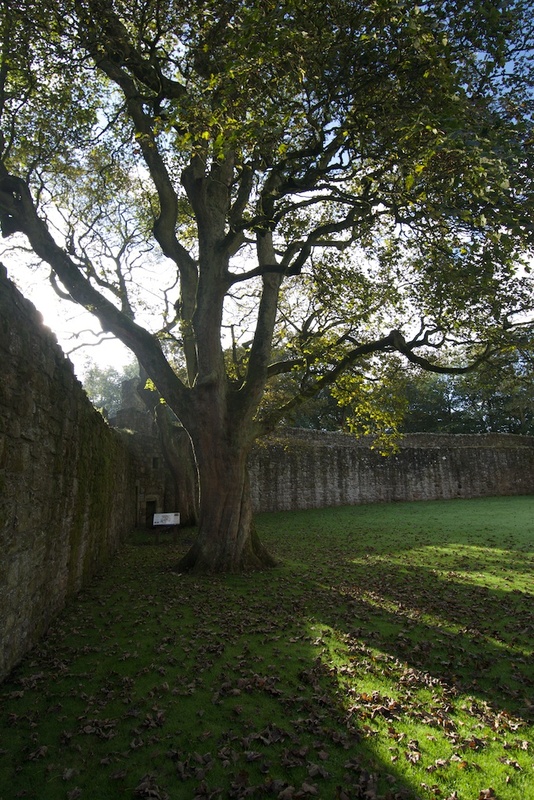 More information and admission charges can be found on the Historic Scotland website. *Footnote: In my original script, I mistakenly said that Margaret Douglas (née Erskine) had six children by James V. As far as historical records show, she had only one child by the King, although she had several children by her husband, Robert Douglas. My thanks to my friend Marie Macpherson for querying this! Great article – really enjoyed it – thank you! And great photos! I particularly liked your speculation about the trees, and the robin….. Thank you very much! 🙂 It’s such a beautiful, special place. I’m glad you liked my thoughts… and the robin looked as if he often sat there on the windowsill. Fabulous photos Joanne. Must share! You make the viewer feel as if they’re really there. BTW did Margaret Erskine have 6 children by James V? Who were they apart from James?? Thank you, Marie! That’s very kind of you. Uh-oh, I may be misleading folks about Margaret. I understood from one of the sources listed (marie-stuart.co.uk) that “six children were born out of the relationship”. Am I incorrect there? Or does it refer to the relationship with Douglas? PS I think this is where the misunderstanding might lie, although I didn’t originally look at it: http://www.douglashistory.co.uk/history/robertoflochleven.htm#.VGiB9FbZ9Zg The text is slightly ambiguous. I think it would be better to add a footnote! 🙂 Thank you! 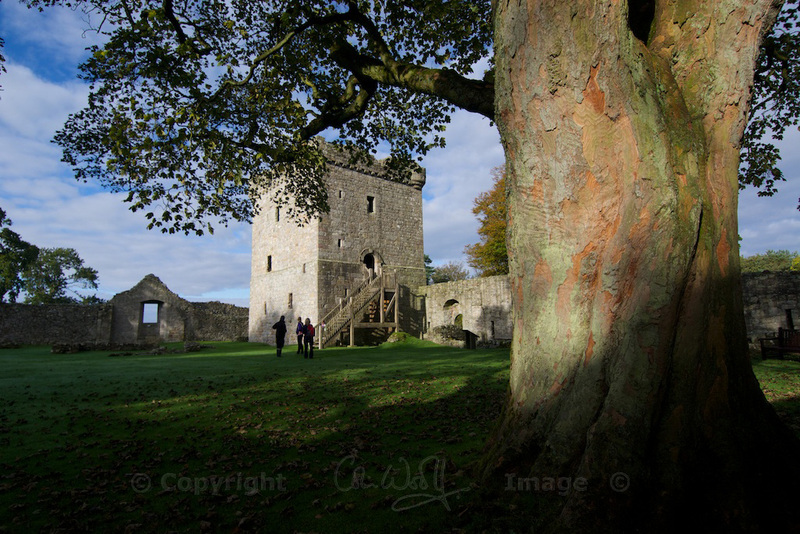 Absolutely stunning photos of Loch Leven Castle where Mary Queen of Scots was imprisoned with interesting article. A really interesting post, and such great tales – I hear there are a couple of films about Mary in the pipeline, so let’s hope they capture the romance of it all. Is that right? I shall look forward to hearing more about them. Yes, sometimes history can be just as exciting as fiction. Thank you very much! Splendid shots with brilliant explanation! Thank you! 🙂 We picked our day carefully, and the conditions were just perfect. There are days just like that… perfect! Excellent – well, thank you for clarifying that! 🙂 He was certainly a roving king, although probably no more so than most of his era! What a dramatic history, and you tell it so well here. Thank you. Looks like you did a wee bit of climbing here Jo. It’s a beautiful place with a very sad story. Yes, it was good fun, Susan! Not too high for me this time. The castle had a very ‘enclosed’ kind of feel, despite being on such a small island in such a wide expanse of water. And yes, how sad – once again, Mary’s story draws us in. I often wonder whether Elizabeth I refused to meet her because she feared she might then have softened in her attitude – fatally, perhaps. Thank you, Elaine! I’m glad to know you enjoyed it. 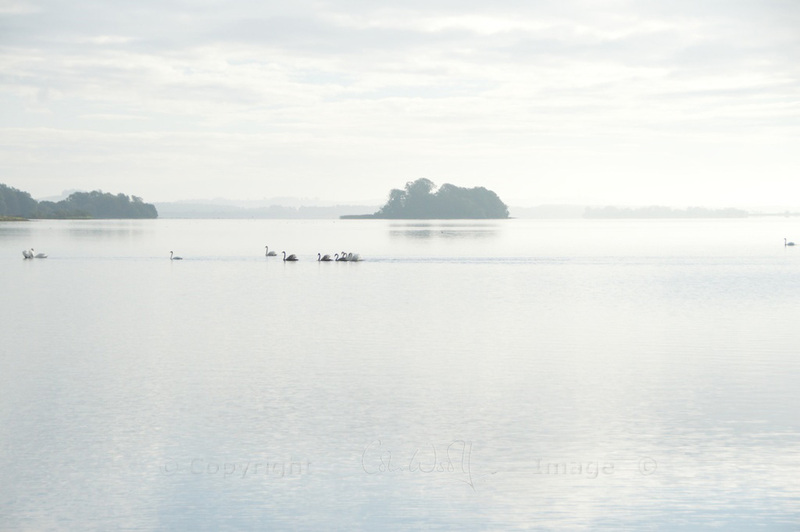 We go to Loch Leven quite often – it’s a lovely place for a walk at any time of year. It was quite a while before we made it over to the island, though – very well worth it! I felt a bit of a shiver when you were talking about the tower. What a tragic life she had. Fascinating article. Wonderfully written, Jo! And great pictures too. You drew me right in and kept me captivated. I love history and enjoyed reading this. Really enjoyed this, thank you for sharing! Gorgeous photos. Thank you very much, Jenny! 🙂 We were so lucky – the weather was perfect for photography. Absolutely beautiful photos of a grand place! Thank you very much! I was glad that the pics did it justice. We caught the weather just right and the atmosphere was amazing. I would have thought MQofS would reach Dumbarton Castle B4 she got 2 Langside. I truly feel Mary was a victim of Moray & QE1, who plotted against her even b4 she reached Scotland from France. Hi Mia, I’m not an expert on Mary’s history but I gather she was avoiding the centre of Glasgow because Moray’s troops were occupying it, so she and her supporters had to make a wide circuit to the south – and were stopped at Langside before they could get to Dumbarton. She was certainly an ill-fated queen. The whole relationship between her and Elizabeth is fascinating. 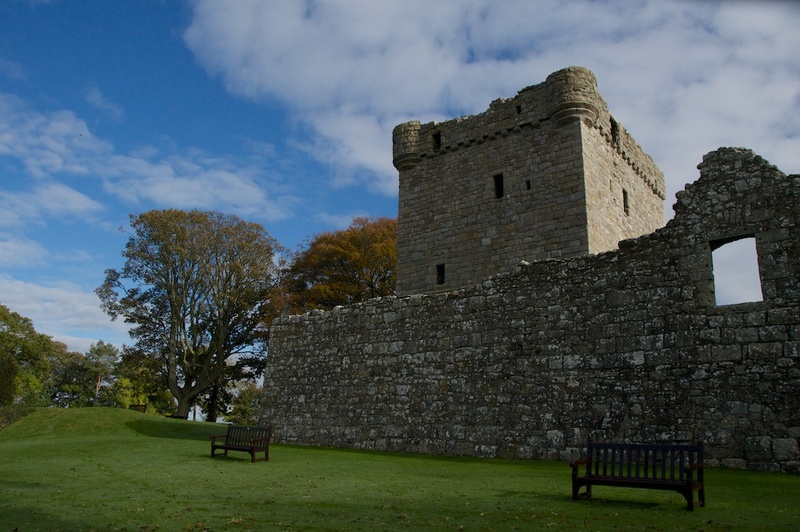 Still doesn’t really make sense, as Leven Castle’s near Perth & Kinross on the east coast. Dumbarton & Glasgow R on the west coast. U reach Dumbarton B4 U get 2 Glasgow, which is further south from Dumbarton. I have a question and hope you have an answer. 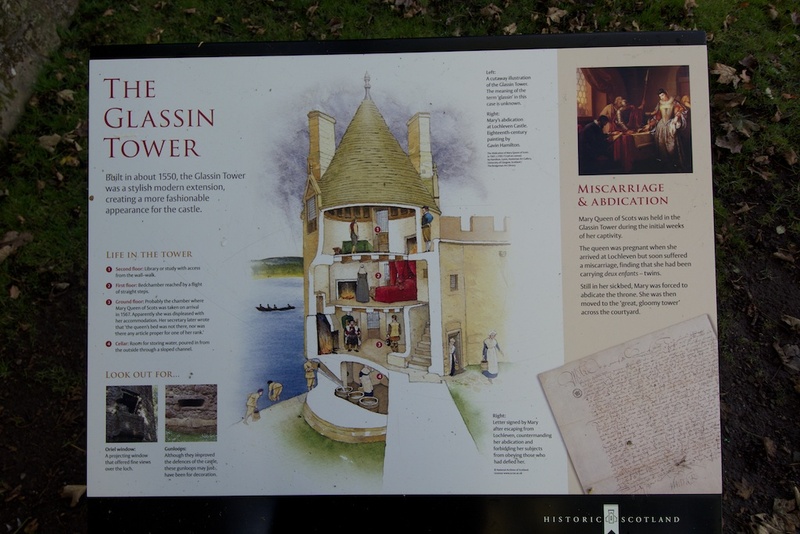 In one of the pictures that shows a graphic overview of everything (“Life On the Loch” graphic picture) it shows a door in the curtain wall right next to the Glassin Tower that is labeled as a postern. Looking at this wall via street view in Google maps doesn’t show the postern at this location nor anywhere else on the outside of the wall nor that it was ever there to begin with. Why does the graphic show it being there when it’s not actually there?